This Good Friday i want to tell you about my favorite church. 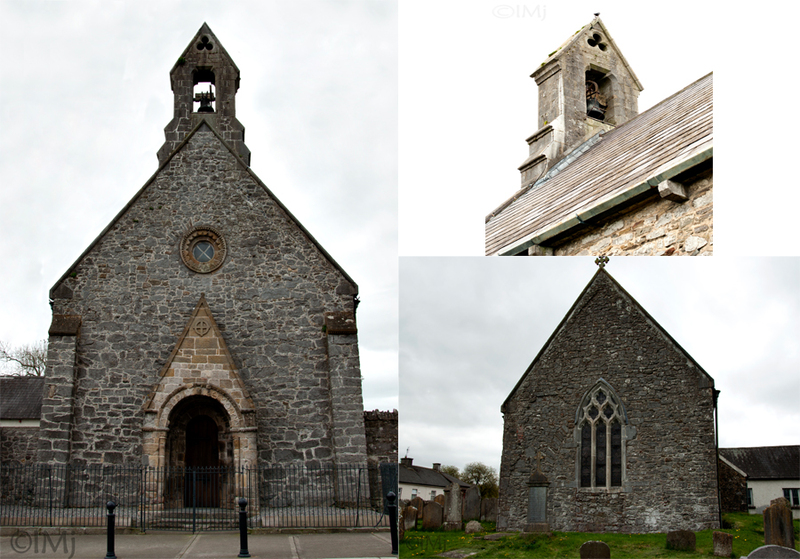 If you are traveling through or near Freshford, Co Kilkenny, stop for a minute to visit this ancient building. 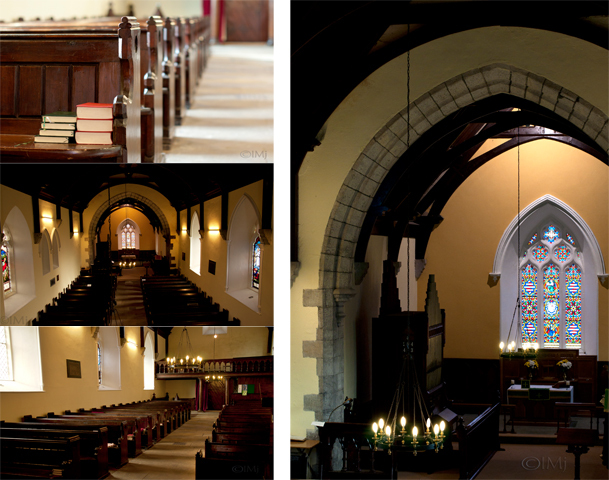 The Saint Lachtain’s Church of Freshford is a place of worship for at least 14 centuries. He stands, throughout all time. In defense of the men of Munster. In 836, the Vikings robbed the monastery, and burned everything, including the books. Yet there is a record that a church was built on the site in 909. The monastery prospered. 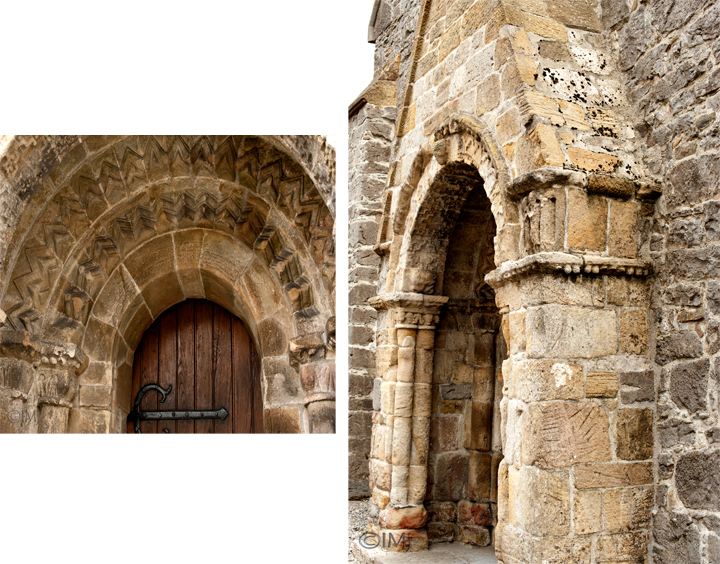 In early 12th century a beautiful porch was added to the existing church building. This porch is still there even that very weathered, especially it’s outer parts. The porch is made of yellow-white sandstone. 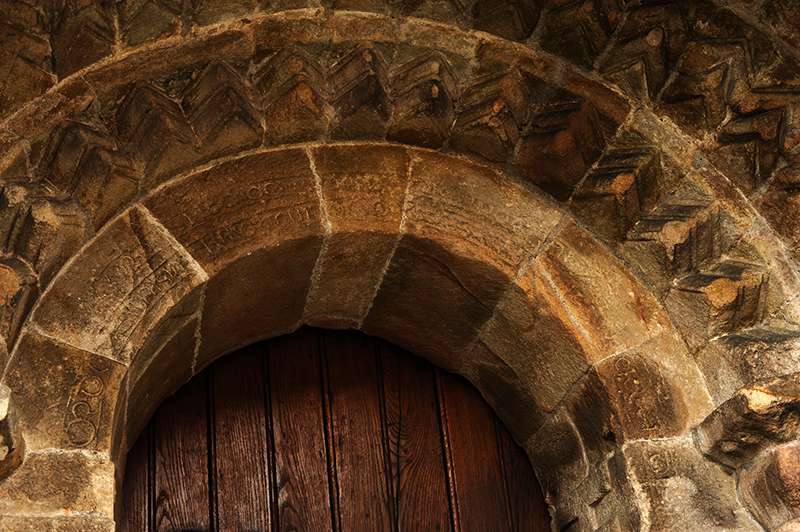 It is the only Romanesque monument with a complete inscription well preserved. However, the craftsman and patron named in the inscription have not been identified. The porch has four arches and two double capitals, all richly ornamented with beautiful carvings, human heads, animal bodies, lion masks etc, all very much worn but recognizable. There is a 1622 record about the church being in ruins, but by 1732 the roof was changed and since then the church seems to be looked after. 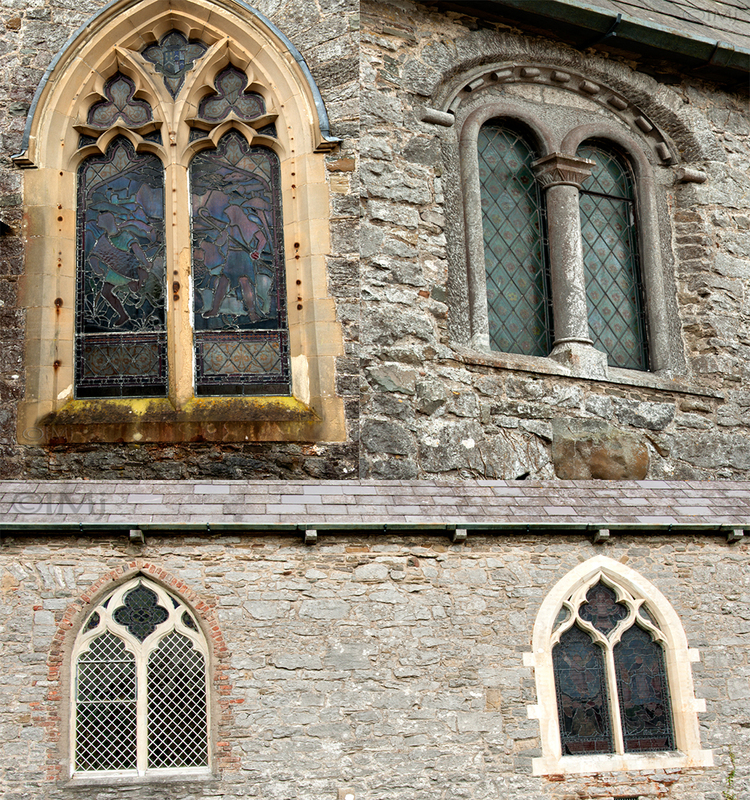 These windows show us the history of church building as it got expanded during the centuries. Further alterations were carried out in 19-20th century. Electric lighting was installed in 1929. 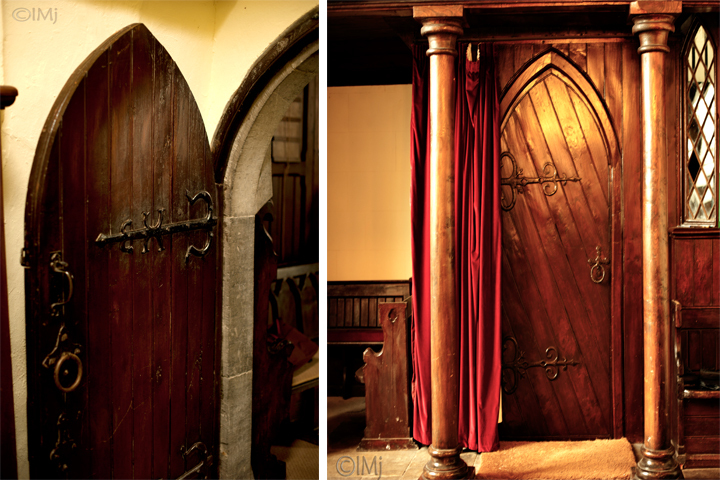 These doors look very old. Outside the church there is the graveyard and a Garden of Remembrance. 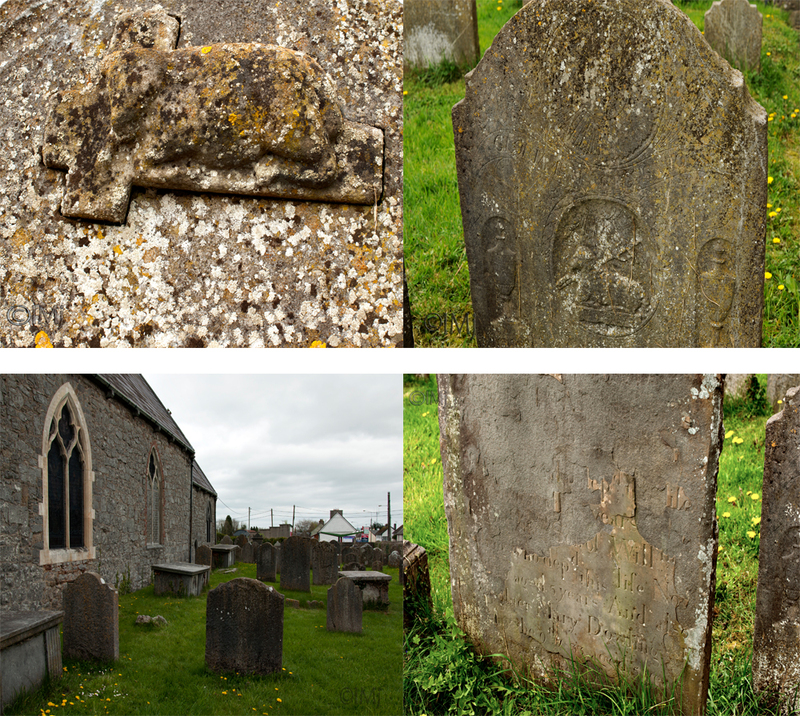 On the picture below you can see an image of a lamb from an old tombstone, which represents The Lamb of God. On the other tombstone there is a readable inscription In Exelsis Deo. Some tombstones have the inscriptions made on a cement layer instead of carving in the stone. Those are almost gone as you can see in the picture. A few words about the Colclough family who are taking care of the church building for years. On the picture below you see Robert Colclough standing next to his ancestral tombstones dated from the 17th century. Robert’s beloved wife Ruby and his parents are buried in the Garden of Remembrance. 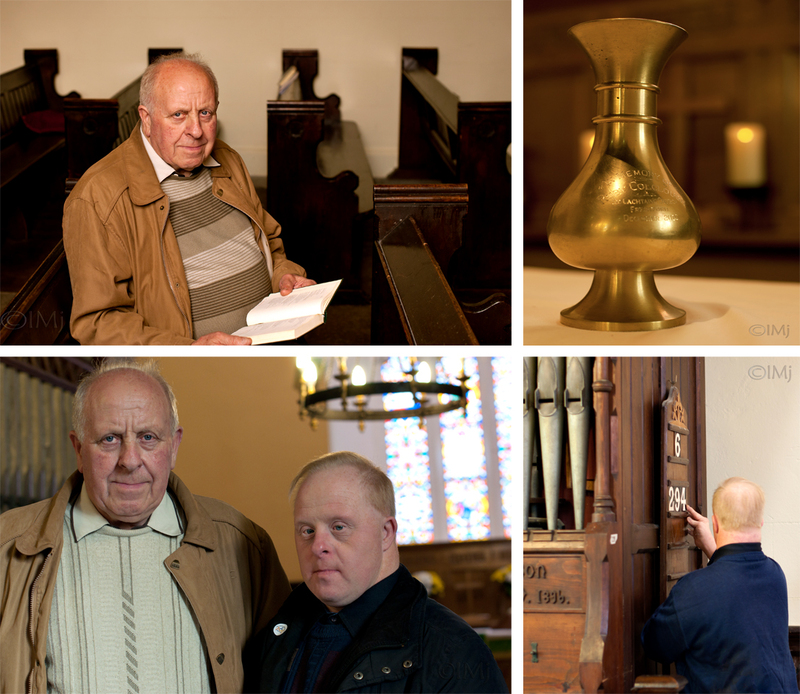 Robert and his son Trevor are looking after the church building and make sure everything is ready for the Sunday worship meetings. Two beautiful vases with the inscriptions are donated to the Church in memory of Ruby Colclough, who was my dear friend. Just a few more words. Easter is the Christian holiday celebrating the Resurrection of Jesus Christ. “He is not here: he is risen.” [See Matthew 28:6.] Because our Redeemer lives so shall we. Genealogy tip of the day: Don’t use any cream, chalk, graphite, dirt, flour or other substances to read worn inscriptions. Instead shine light across the face of the stone; the inscription will just stand out. Use a mirror to reflect the light, or take a photo and then play around with the image using the editing software to make the inscriptions readable.